Measuring a water’s conductivity is really a way to measure both a water’s quality and how the makeup of water is changing over time. Increases in the conductivity of a specific body of water indicates that it is gaining more conductive ions from either dissolved salts or inorganic materials. The conductivity measurements in a large body of water do not change dramatically on their own, so what kinds of events can cause a change in a water source’s level of conductivity? Certain natural phenomena could be to blame, such as flooding or evaporation. Unfortunately, pollution is also a common cause! Big changes in conductivity can negatively affect the aquatic life in a body of water as well as the health of animals (including humans) who drink water from that source. That’s why it is important to use high water quality instruments to regularly measure water conductivity, such as the 4-20mA conductivity analyzer from Pathfinder Instruments. 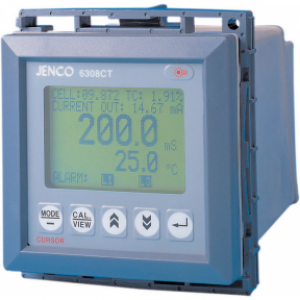 Contact us today to learn more about our 4-20mA conductivity analyzer, Jenco 6308CT-Conductivity Analyser or our other conductivity analyzers.